Just because they're basic dorm supplies, that doesn't mean they have to be boring. 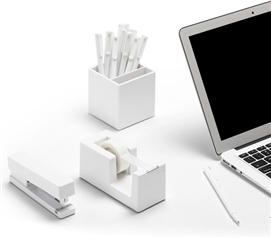 Here you will find our selection of White Colorful Desktop Supplies that will make sitting at your college dorm desk a lot more fun. You'll be spending a lot of time there, after all. With how much time you'll be spending there, why would you want to make it bland?! 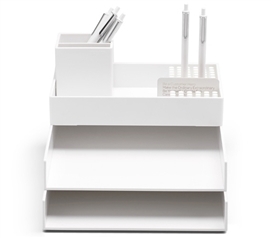 Adding our White Colorful Desktop Supplies will not only keep your dorm desk incredibly organized, but they will also turn your dorm desk into a dorm room decoration. Your college dorm desk won't have the dorm organization you need to keep your homework, writing utensils, and other study supplies organized. Here you will find our selection of White Colorful Desktop Supplies. These dorm essentials can be mixed and matched with any of our colorful desktop supplies to create a unique look and will make keeping your dorm desk organized and tidy more fun. 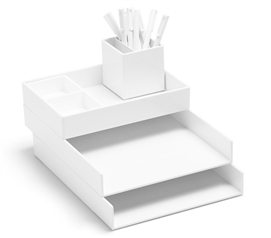 Why settle for bland dorm organizers when you can add to your dorm room decor with our White Colorful Desktop Supplies.